Home Grown Lacrosse was founded in 2005 by Bryan Brazill, a life-long lacrosse player and passionate student of the game. Home Grown was run exclusively outdoors until January 5th, 2007 when we opened the doors to our new state-of-the-art indoor training facility and turf field. We specialize in the training of the lacrosse athlete, regardless of age or skill level. We do this through league play, clinics promoting lacrosse skills and game IQ, and our camps. We have coaches from a variety of backgrounds, but we all maintain the same big attributes: we are experienced, we all played competitive college ball, and have a thirst for ‘giving back’ to the sport we love so much. Our goal is to develop the serious lacrosse players’ life skills to their lacrosse skills, and help them to become better individual and team players through specialized lacrosse drills. 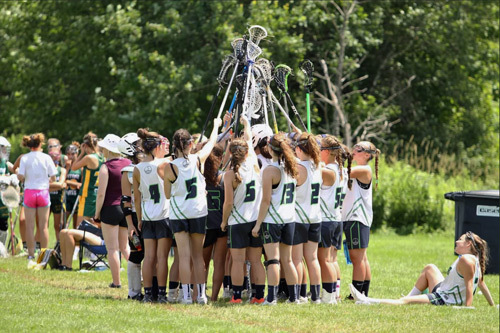 Find out more about our lacrosse programs by calling 978-208-2300.